Dean Appleman teaches and writes in the areas of criminal law, criminal procedure, family law and sentencing law and policy. After graduation in 1998, Appleman served as law clerk to Judge A. Wallace Tashima of the U.S. Court of Appeals for the Ninth Circuit. From 2000-05, she was a criminal appellate public defender at the Center for Appellate Litigation, where she briefed and argued approximately 50 appeals in front of the New York appellate courts, including the New York Court of Appeals. From 2005-06, Dean Appleman was a visiting assistant professor at Hofstra University School of Law. 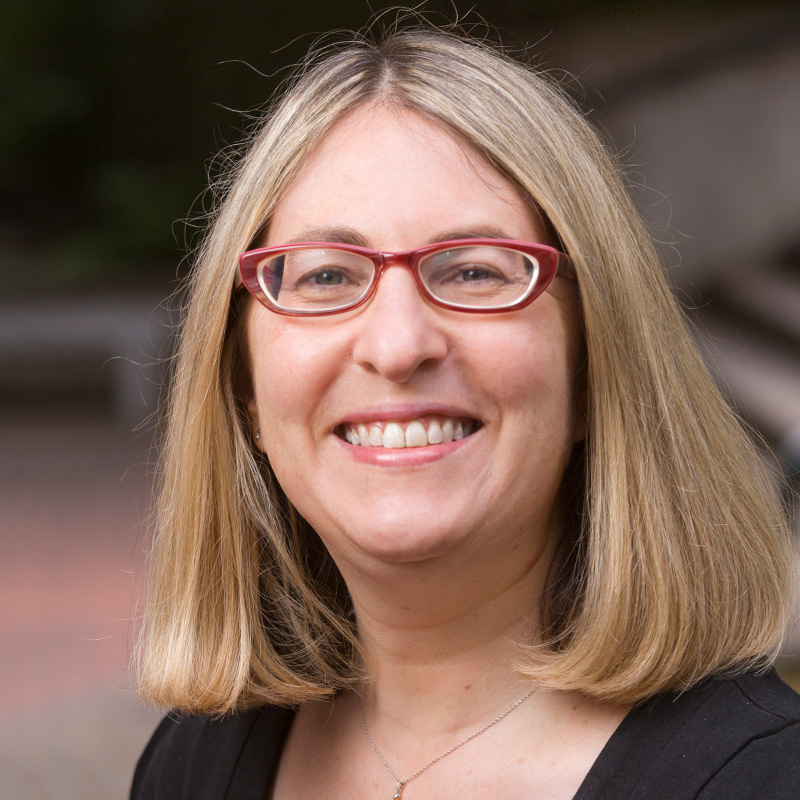 She joined the Willamette University College of Law faculty in 2006. Appleman is a member of the Yale Law School Executive Committee, is co-reporter for the Yale Law School class of '98, has served on the Criminal Advocacy Committee of the Association of the Bar of the City of New York, and has worked with the Brennan Center for Justice on issues of indigent defense and criminal procedure. She currently blogs at the Faculty Lounge. Appleman is admitted to practice law by the State Bar of New York. Defending the Jury: Crime, Community, and the Constitution. (Cambridge University Press, 2015). Deviancy, Dependency, and Disability: The Forgotten History of Eugenics and Mass Incarceration, 68 DUKE L. J. (forthcoming 2018-19). Cashing in on Convicts: Privatization, Punishment, and the People, 2017 UTAH L. Rev. (forthcoming 2018). Local Democracy, Community Adjudication, and Criminal Justice, 111 NW. U. L. Rev. 1413 (2017). Nickel and Dimed into Incarceration: Cash-Register Justice in the Criminal System, 57 B.C. L. Rev. 1483 (2016). A Tragedy of Errors: Blackstone, Procedural Asymmetry, and Criminal Justice, 128 Harv. L. Rev. F. 91 (2015). Justice in the Shadowlands: Pretrial Detention, Punishment, & the Sixth Amendment, 69 Wash. & Lee L. Rev. 1297 (2012). The Community Right to Counsel, 17 Berkeley J. Crim. L. 1 (2012). Oscar Wilde's Long Tail: Framing Sexual Identity in the Law, 70 MD. L. Rev. 985 (2011). The Plea Jury, 85 Ind. L. J. 731 (2010). The Lost Meaning of the Jury Trial Right, 84 Ind. L. J. 397 (2009). Retributive Justice and Hidden Sentencing, 68 Ohio St. L. J. 1307 (2007). Reports of of Batson's Death Have Been Greatly Exaggerated: How the Batson Procedure Enforces a Normative Framework for Legal Ethics, 78 Temple L. Rev. 101 (2005). The Rise of the Moden American Law School: How Professionalization, German Scholarship and Legal Reform Shaped Our System of Legal Education, 39 New Eng. L. Rev. 251 (2005). White Paper of Democratic Criminal Justice, 111 Nw. U. L. Rev. 1693 (2017, with Joshua Kleinfeld, Richard Bierschbach, et al.). Gothic Stories, Mens Rea, and Nineteenth-Century American Criminal Law, in Law and Humanities in Nineteenth Century America (Ashgate Press, 2017). Who Watches the Watchers? Judges, Guilty Pleas, and Outsider Review, 67 Fla. L. Rev. F. 44 (2015). Sentencing, Empirical Desert and Restorative Justice, in Paul H. Robinson, Stephen Garvey & Kimberly Kessler Ferzan, Eds., Criminal Law Conversations (Oxford, 2009). Splitting the Baby: The Danger of Distinguishing Between Offense and Offender Characteristics, in Paul H. Robinson, Stephen Garvey & Kimberly Kessler Ferzan, Eds., Criminal Law Conversations (Oxford, 2009). Towards a Common Law of Sentencing: Gall, Kimbrough and the Search for Reasonableness, 21 Fed. Sent. Rep. 3-6 (2008). Rethinking Retribution: Understanding Punishment Theory After Blakely, 18 Fed. Sent. Rep. 247-249 (2006). Please Don't Squeeze the Client, Legal Times, Vol. XXIX, No. 42 (October 16, 2006). The Ethics of Indigent Criminal Defense Representation: Has New York Failed the Promise of Gideon?, 16.4 Prof. Lawyer (2005). A Theory of Law, Amended & Mended, in A Micro-Symposium for Orin Kerr's "A Theory of Law," Part II, 2 J. of J. 490 (2013) (poem). The Great Write, 9 Green Bag 2d 93 (2005) (poem). The Appellate Lawyer's Lament, 8 Green Bag 2d 210 (2005) (poem). Return Criminal Justice to the Community, Al-Jazeera America (September 19, 2015). Let Boston Decide Tsarnaev's Fate, The New York Times (January 7, 2015). No Deal: Should Prosecutors Be Forced to Have Their Deals Approved By Plea Juries?, Slate (April 7, 2015) (article by Leon Nefakh about scholarship).